Together with social researchers, consultants, innovative designer, and experienced business persons, Mr. Timol Pen, an Investment Officer of ARUN, was invited to do a presentation about social investment and to share about experience with social entrepreneurs and social impacts at Asian Women Social Entrepreneurs Conference (AWSEN) 2015. Timol shares about ARUN’s activities, its vision and mission, experience with social entrepreneurs, social impacts assessment and success story of ARUN’s investees in Cambodia and India. This is the second time that the conference was held. 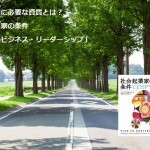 But, it is the first time that ARUN participated. 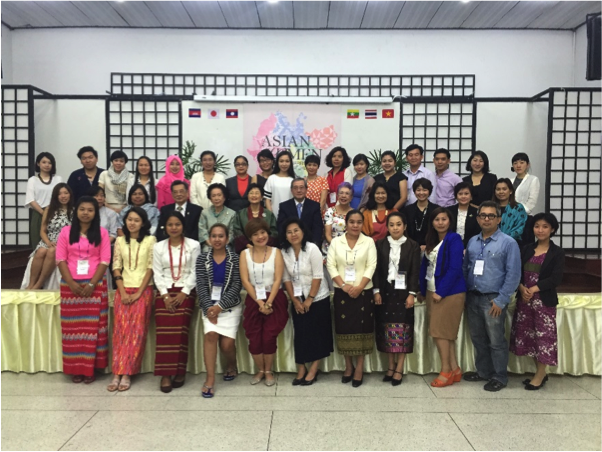 The conference was held from 20-22 May 2015 in Bangkok with about 20 women social entrepreneurs from Cambodia, Loa PDR, Myanmar, Thailand and Vietnam. 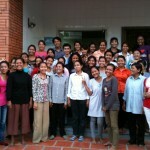 They are doing social business such as weaving, making handicraft and providing educational training. They are working and supporting poor women and households in villages in their countries. The activities in the conference include presentation, group discussion, panel discussion, networking, Q&A session, social product display, business showcase and comment and feedback. The participants had chance to meeting with experienced business persons from well-known company in Thailand and in Japan, to hear, and to ask questions and to share their stories. 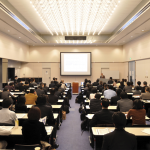 The conference was held for three days. On the day one, the programme included introduction of participants, overview of the programme, presentation about social entrepreneurship, business model canvas preparation, and experience sharing. And, the next day, there were presentation about challenges and opportunities in scaling up, innovative financial models, ARUN’s sharing experience working with social enterprises, marketing innovation, penal discussion and feedback and comment. On the last day, there were a closing remark, products display, business showcase at C Asean, Cyber World Tower. Participants enjoyed knowledge gain and chance to display the products and receive comment from experienced business persons, social researchers, and social investor. The programme is supported by Nippon Foundation Association for the Promotion of the Status of Women in Thailand in collaboration with Re:terra to support women social entrepreneurs in the Mekong sub-region by developing and improving their skill, capacity building, experience sharing, collaboration and effective communication among them.